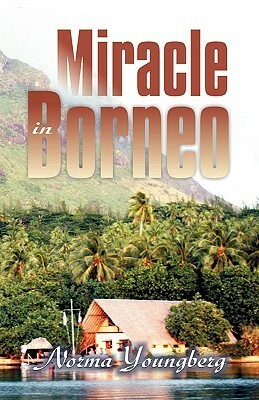 It has been many years since I read Miracle in Borneo, and it's interesting that the book's description doesn't mention the things about the books that stuck with me. (Other than the cool river setting, the longhouse on stilts and the canoes!) It doesn't even mention that the main character was a girl (whose name I think was Cheraw.) The main story as I recall it involved the abiding love between Cheraw and her father, who was the witch doctor of the village. Cheraw and her father disagree about Christianity, but as I recall it, the love between them doesn't waver. He is one of the last holdouts as the village converts to Christianity, and though Cheraw worries about his soul, she respects him highly. (And yes, there is a native worker who is also key in the story.) I remember it as a beautifully told story about the love between a father and daughter in the face of change. The illustrations of the copy I had (different cover than the one shown) captured my imagination as much as the narrative. It was my favorite of the Norma Youngberg books. It was a good book but not as good as many of her others, My favorites by her are Singer on the Sand and Nyla and the White Crocodile. She has written so many mission stories and is an excellent writer.She has written over 15 books. We own 8 of them. Wonderful Stories. The original book is actually "Under sealed orders" the story of Gus Youngberg. I recommend to read that one first.